Make a retro cool statement with the Penelop Floor Lamp. This unique piece will add that pop you're looking for to your space. Features 5 13W CFL bulbs. 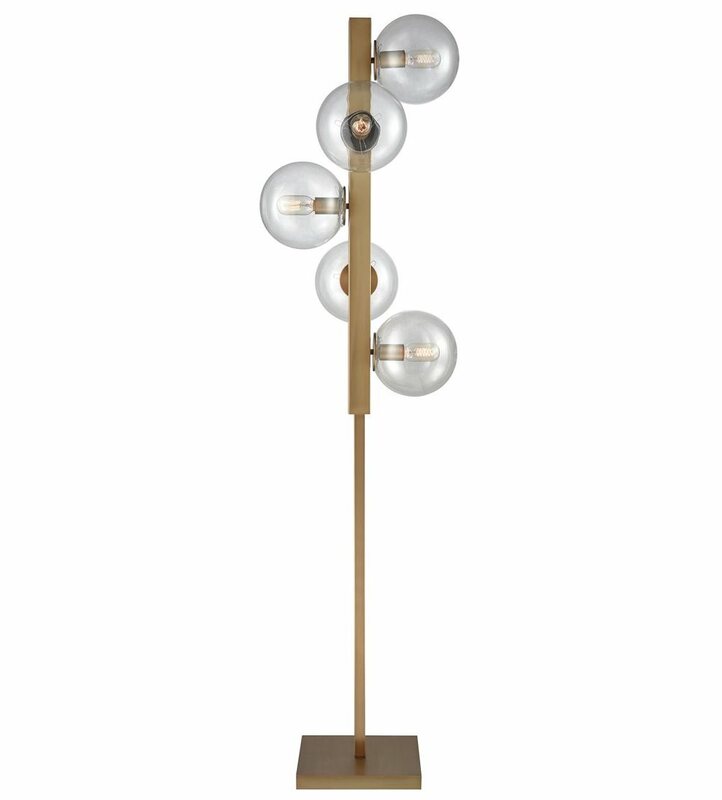 Finished in aged brass with clear glass, this lamp will be sure to light up your space.